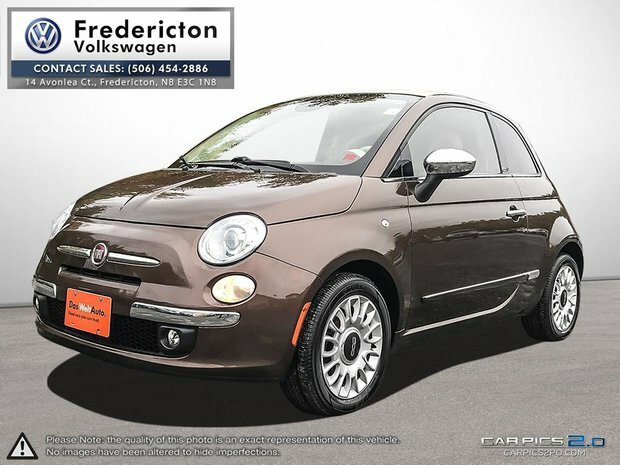 LOCAL TRADE | CLEAN CARPROOF | POWER RECLINING CONVERTIBLE SOFT TOP This little Fiat Cabrio was recently traded in at Fredericton Volkswagen and is quite the gem. It comes very well equipped with multi-function steering wheel with Bluetooth integration and cruise control setting, sirius satelite radio, digital quages, Beautiful heated leather seets with 500C stitching, sport mode, aux, usb x2, 12v outlet, power windows, mirrors and locks, fog lights and much more. 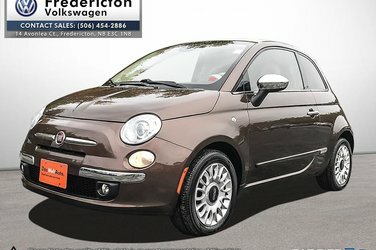 In order to put a fresh Motor Vehicle Inspection on this Fiat we installed brand new Yokohama all-season tires, completed an oil and filter change, replaced the air filter and replaced both front and rear brake rotors and pads. Financing available. Give us a call (506-454-2886) drop by, or visit our website to book a test drive. www.frederictonvw.com. Ask about our "OUT OF TOWN BUYER'S PROGRAM".